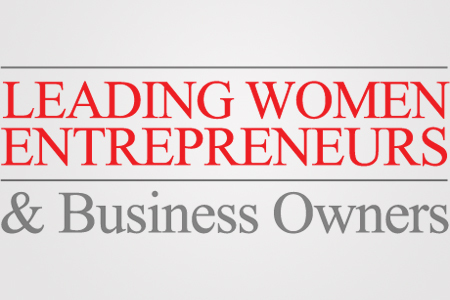 Paradigm Marketing and Design Founder and President Rachel Durkan has been recognized for her outstanding achievements as a small business owner by Leading Women Entrepreneurs & Business Owners (LWE). Durkan is among 150 finalists in the state of New Jersey who have been nominated by LWE and New Jersey Monthly magazine as Leading Women Entrepreneurs for their accomplishments as innovators who are creating the future for corporations. Each year, LWE – a media and events company – recognizes outstanding women business owners by fielding hundreds of nominations across the state. In conjunction with New Jersey Monthly, they then identify 150 finalists based on four areas of expertise: market potential, innovation, advocacy for women and community involvement. In the past year alone, Durkan has co-authored and released a new book – Breakthrough Results: Tips, Tricks and Techniques from Today’s Experts for You and Your Business – and won three awards for Paradigm’s exceptional work in graphic design. She has also remained dedicated to giving back to the community with regular quarterly charity initiatives, all while doubling her business’s revenue over the last 24 months. Paradigm Marketing and Design, based in Parsippany, N.J., offers integrated marketing, web and graphic design services to small- and mid-sized businesses looking to acquire a more competitive edge in the marketplace. For more information about Paradigm, including a full portfolio of work, visit paradigmmarketinganddesign.com.